Evoke some good old-fashioned patriotic values with this good old-fashioned Americana Club Flyer. 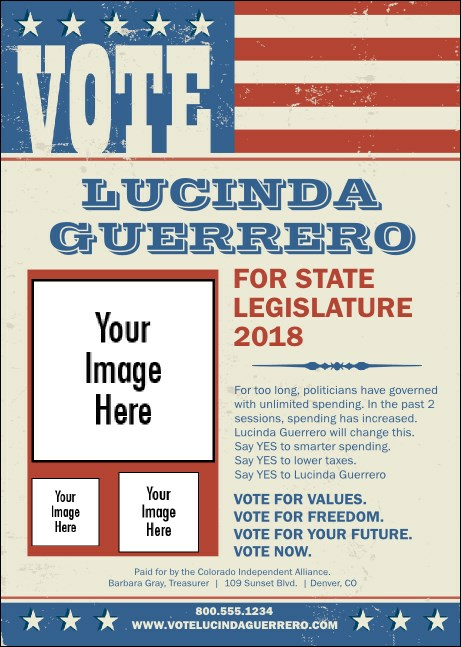 Featuring three prominently displayed images of your own choosing on a nostalgic, red, white, and blue background, it's a fast and easy way to share the details of your campaign or upcoming rally, fundraiser, or other event. Spread your message with TicketPrinting.com.